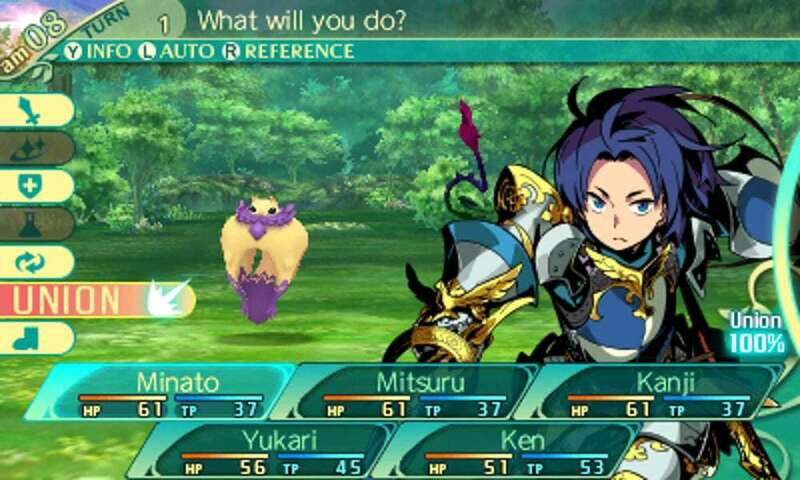 Etrian Odyssey as a franchise has always been the unsung hero of its genre. It’s consistently offered some of the deepest and most satisfying gameplay in the genre, bringing back old school Wizardry-like gameplay to the forefront and supplementing it with excellent dungeon design, superb music and open-ended storytelling where your own imagination is the biggest driver of the plot. 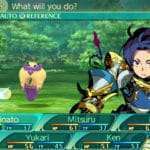 Compared to its predecessors, Etrian Odyssey V: Beyond the Myth doesn’t change much; it’s still the classic Etrian Odyssey experience through and through, but with multiple additions that serve to enhance the experience and make it more accessible, making it perfect for newcomers and veterans alike. The main conceit of Etrian Odyssey has always been pretty simple. You create characters and form an adventuring party in order to brave Yggdrasil, a sprawling labyrinth filled with monsters, treasures and secrets. There are no mandatory characters or serious restrictions, so you’re given complete freedom in designing your party. Everything from their name, appearance, gender and class is set by the player, and a huge part of the Etrian Odyssey experience is getting attached to these characters. You’re not just creating tools to help you win—you’re giving life to your very own characters. Character creation is an inherently tricky process, but the way that Etrian Odyssey facilitates it is genuinely remarkable. Etrian Odyssey V further improves on this process by allowing players to set specific voices for characters. It’s a great addition, making it all the more easier to create your ideal character and connect with them. 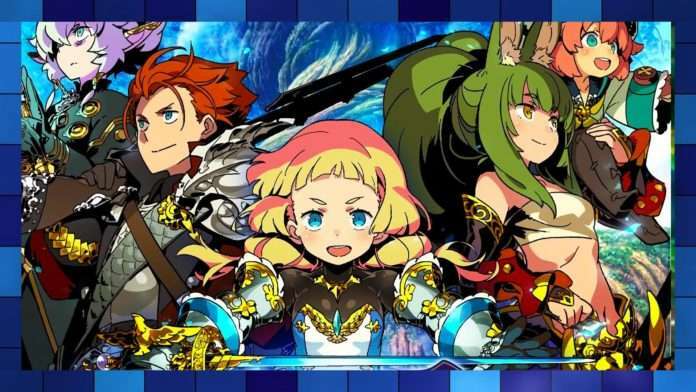 Team building has also been greatly improved in Etrian Odyssey V. With four new races (Earthlain, Celestrian, Therian and Brouni), 10 classes (and 2 mastery classes on top of that) to choose from, there are a near infinite amount of possibilities at your disposal. Do you want a balanced party with the typical tank/healer/attacker core, or do you want a riskier but potentially more rewarding set up, utilizing several offensive classes with little regard for defense? There’s no right or wrong way to go about it, so it’s entirely up to the player to forge ahead and build a party that suits their playstyle. Players worried about accidentally building an underpowered party should rest easy, as the game generously allows you to reallocate your abilities and classes at any time (with a small penalty). I was really impressed with the game’s difficulty curve and general balance. It’s rare for an RPG to strike that perfect of balance making your characters and enemies feel equally powerful, but Etrian Odyssey V manages to deliver on that front, and is perhaps the best in the series in that regard. Etrian Odyssey V has a straightforward gameplay loop. Your primary goal is to enter the labyrinth and explore the various dungeons. The game gives you an empty map, so it’s your job to fill it with landmarks, obstacles, quest locations and pretty much anything you come across. While that might sound tedious, it’s actually a really rewarding experience. Part of what makes this game series so special is the very genuine sense of progression you feel when filling out a map; you’re not just relying on some map you found in a chest to get by; you’re relying on a map you created using your own skills and experiences. The game also rewards you for your diligence, as fully mapping out a floor and submitting it to the registry will allow you to automatically warp to the next floor. It’s really useful for cutting down on backtracking and practically a requirement down the line. Dungeon exploration is straightforward but fun. You walk (or run) through dungeons, open chests, talk to NPCs, gather materials and find all sorts of secrets littered throughout a given dungeon. Etrian Odyssey has my ideal take on the random encounter system. See, progressing through a dungeon slowly fills up a gauge until it reaches its maximum. From that point on, there’s a high chance you’ll trigger a random encounter. It’s far less frustrating than typical random encounters system as you’re always given just enough time to prepare yourself for the upcoming battle. 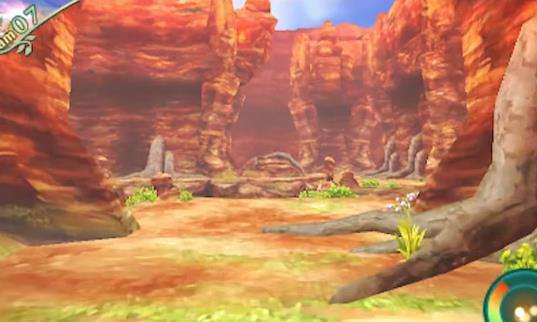 And it’s great that the game telegraphs its encounters in advance because battles are fast-paced and momentum based. Enemy encounters aren’t a simple exercise of mindlessly bashing enemies until you win. Enemy combinations need to be carefully considered, as monsters will often coordinate with each other and unleash devastating attacks in unison, potentially wiping out your entire party. Naturally, the reverse holds true as well, as a carefully planned out strike can devastate even the most powerful of enemies. 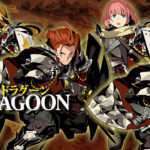 Compared to past EO titles, there’s a greater number of things to do in dungeons. Each floor is littered with various little side events that color the adventuring experience. It’s not uncommon find secret treasure, NPCs, ambushes, food and the like within these events. Whether you pursue these side events is entirely up to you, but it’s definitely in your best interest to do them as you receive experience for finding them, and they’re generally pretty fun. The dungeons themselves are among the series finest, with gorgeous and intricate design that make them a joy to explore. There’s this palpable sense of scale and awe that’s present in some of the later dungeons (without going into spoilers, the third Stratum is easily my favorite in the series). The new food system is a welcome addition as food replenishes HP and TP and is completely free, making it perfect for minimizing the amount of times you need to return to town to resupply. The best part is that these items occupy their own inventory menu, so you don’t have worry about constantly running out of space. The new race skills also add an interesting new dimension to exploration. 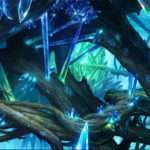 These abilities can range from union skills to field abilities (such as super strength and night vision), which can directly alter how certain side events play out. There’s very little in the way of story complexity. The main story revolves around climbing Yggdrasil, though there are several enjoyable plot beats interspersed throughout the story to shake things up (and true to tradition, the endgame ramps up the excitement considerably with an interesting twist). What’s there is solid, and while it doesn’t remotely stack up to other RPGs with more involved storytelling like say, Persona, it doesn’t really need to either. It’s a well paced game where the main story never gets in the way of adventuring. 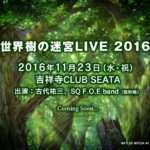 Etrian Odyssey V is the ideal sequel. It keeps the spirit of the series alive while also improving it on every major front, paring down on some of the frustration present in the earlier titles while giving fans more to play with. It’s a game that actively makes you care about the characters you create, using your own imagination to drive their experiences. 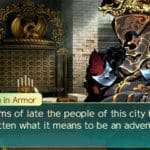 While Etrian Odyssey V has a fairly simple story, it serves to supplement the real story, which are the various struggles, victories and discoveries that your characters experience throughout the game. Overall, Etrian Odyssey V’s top class character customization, brilliant soundtrack and great dungeon design make it one of the finest RPGs on the 3DS.